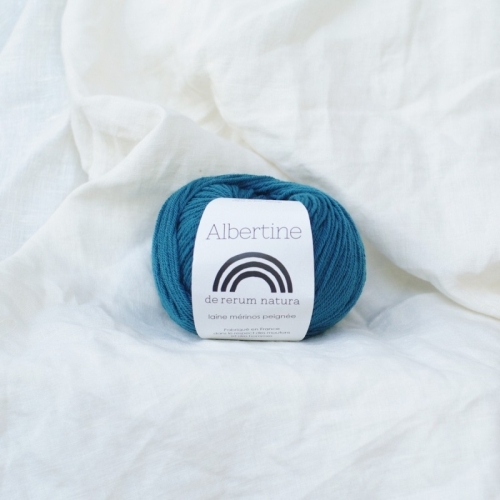 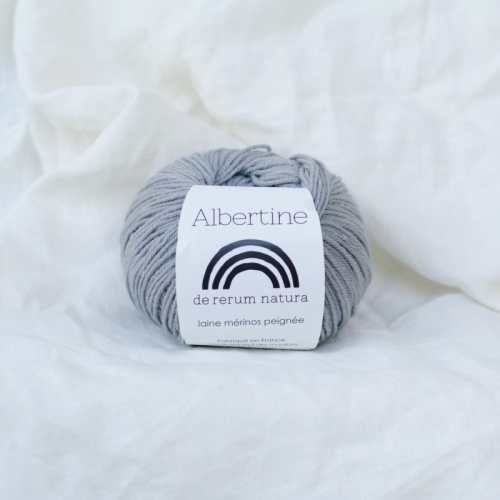 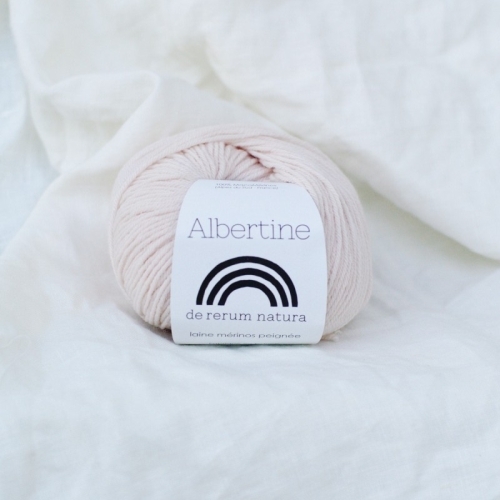 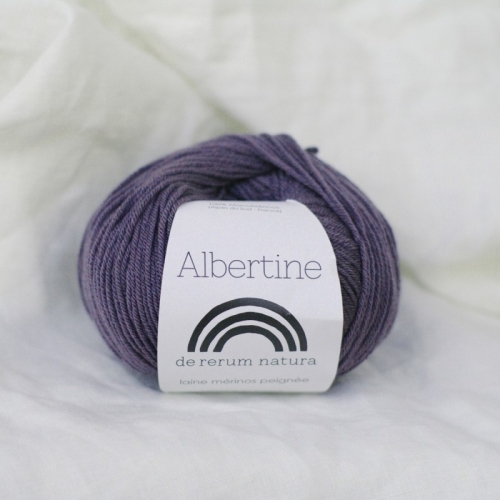 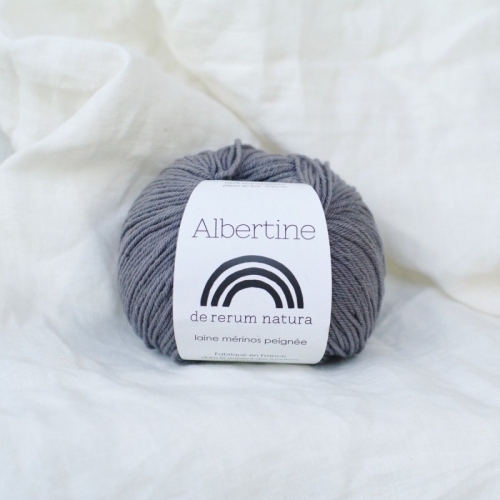 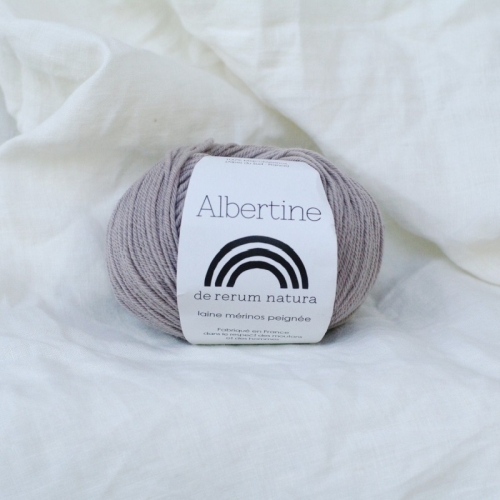 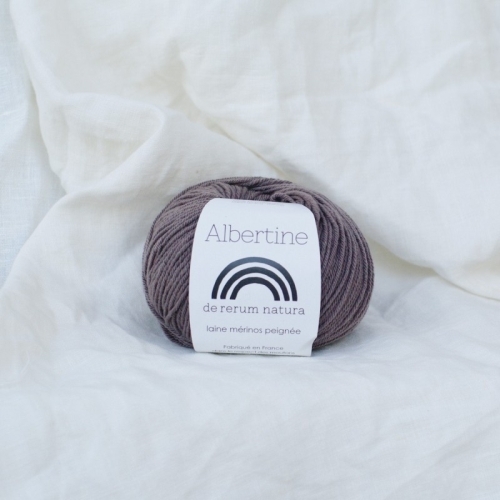 Albertine is a 4 ply, worsted spun yarn made from precious fleece of MacoMérinos, raised respectfully in Alpes de Haute Provence.Is a round, strong and yet soft yarn with great elasticity and natural character. 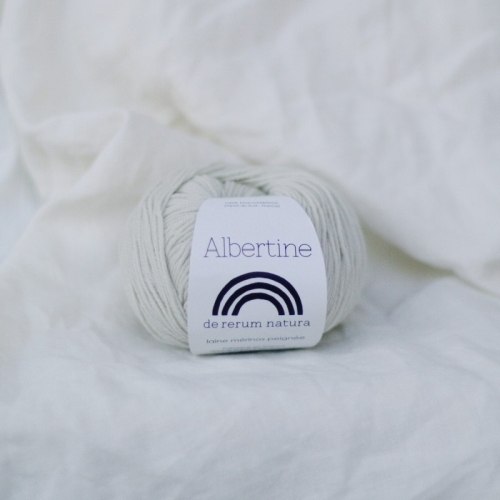 We recommend handwashing in warm (not hot) water with gentle soap. 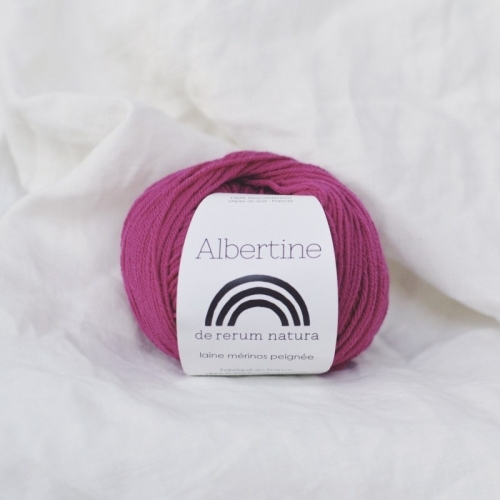 Lay fabric flat to air dry.